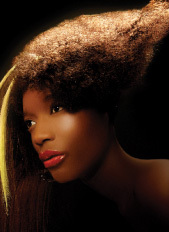 The finalists in the 2008 North American Hairstyling Awards have been announced and the following selections from the various categories provide a preview of what to expect at NAHA 19, to be held later this month. The 60 finalists were culled from the submissions of more than 600 entrants after evaluation by a panel of top hair stylists and trade and consumer editors. The awards will be presented July 13 at the Mandalay Bay Hotel in Las Vegas during Cosmoprof NA. The NAHA gala will begin with a red carpet reception. The awards ceremony, emceed by Saturday Night Live alumVictoria Jackson, will feature special presentations by Veronica Bessey, NAHA 2007 Fashion Forward winner, and NAHA 2006 Master Stylist winner Heather Wenman.